Free Desktop Clock is a very easy to use application developed to replace the standard Windows clock, while also offering a bunch of tools to enhance the whole experience. 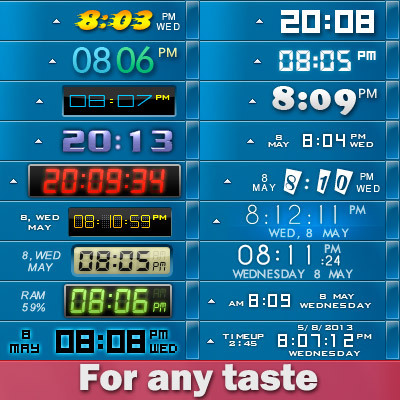 Free Desktop Clock dolls up the standard digital display with a handful of skins and shows the current date and day. Free clock gives your computer a stylish and advanced look and offers atomic clock synchronisation. 9 skins are included in the distribution.